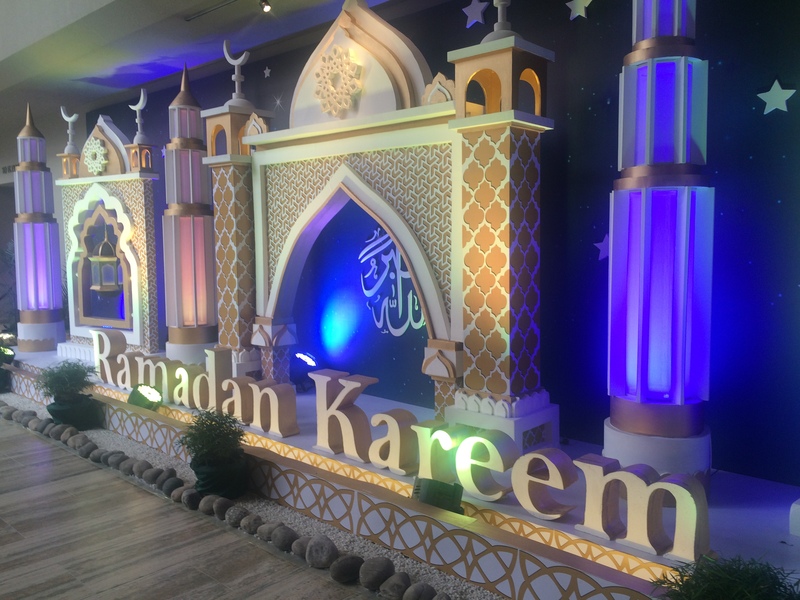 Welcoming decorations at a Ramadan celebration in Dhaka, Bangladesh. Source: Sreeja Kodali. Last summer I had the immense privilege of travelling to Dhaka, Bangladesh to assist in the implementation of a new epidemiological study from Boston Children’s Hospital (BCH) at the National Institute of Neuro-Sciences (NINS). The study, funded by the National Institutes of Health (NIH), investigates the relationship between epidemic arsenic poisoning and the occurrence of spina bifida, a group of birth defects distinguished by spinal cord malformations. The World Health Organization has called current arsenic poisoning in Bangladesh the “largest mass poisoning of a population in world’s history.”1 Maitreyi Mazumdar (MC ’91), the study’s principal investigator and a pediatric neurologist at Boston Children’s Hospital, hypothesized that arsenic increases the risk of spina bifida. I joined the research team to learn how global health research works in practice. Global health research in practice requires a great deal of internal mechanics, of unpacking broad aims into protocols, records and record-keeping systems. For example, to measure maternal arsenic levels, one must know what biological samples to take and then document protocols on how to properly collect, label, package, and ship samples. To conduct ethical research, one must apply to institutional review boards, compile informed consent training material, and train new staff in said material. To collect information from subjects, questionnaires must be written in such a way that collects information and ensures accuracy. To enable future replication, detailed daily records of activity are needed as well as an effective system of navigating through said records. But beyond the internal mechanics, understanding and addressing external factors is crucial to global health research in practice. Research, especially global health work, doesn’t occur in a vacuum. Everything beyond the hospital, such as national unrest and holidays, affected our work. One external factor was a rise in extremist violence in Bangladesh against vocal liberals and foreigners. In April 2016 alone, the editor of Bangladesh’s first LGBTQ magazine and a friend, an outspoken law student, and an English professor were hacked to death by assailants in separate incidents.2 Foreigners had also been killed recently: an Italian aid worker and Japanese farmer.2 The US State Department in the spring issued strong warnings against visiting Bangladesh, including bans on visiting public areas, using public transportation, or walking unattended.3 These stipulations made finding accommodations and travelling to the hospital more difficult. Our research team and hosts in Dhaka took several measures for our safety: we travelled exclusively by car, escorted by local research staff members. We only travelled to hospitals and back to our hotel, which was a closed complex with full-time security and metal detectors upon entry. Just days after I left Dhaka, a bakery in the diplomatic district of Dhaka was attacked by armed militants and 28 people, including Bangladeshi, Italian, Japanese, Indian, and American citizens, were killed.4 We had planned a second trip to Dhaka and NINS however in light of the attacks I could not return – global health research practice is not immune to international unrest. Another external factor was that our trip to Dhaka occurred during Ramadan, the holy month when Muslims fast from sunrise to sunset in honor of the Prophet Muhammad’s first revelation in the holy Quran.5 Despite the sweltering heat, many of our collaborators did not eat or drink water all day in observance of Ramadan. Nevertheless, they graciously served us water, fruits, and lunch despite their inability to eat or drink for many more hours. Ramadan affected the execution of our study because hospital workdays were cut short, halving the number of working hours we had. With so much to do but only half the time, we learned how to be maximally productive in half a workday. 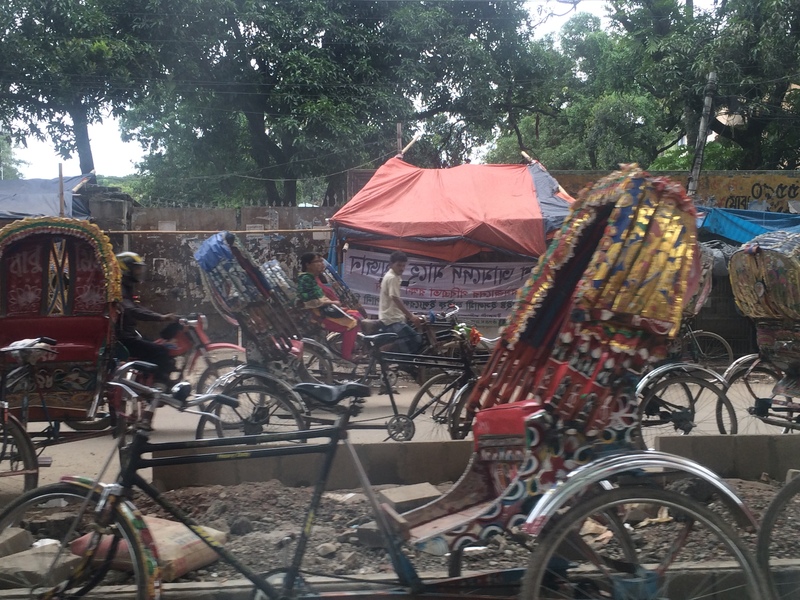 Dhaka has the largest number of rickshaws and is known as the Rickshaw Capital of the World. Pictured below is a glimpse of regular street traffic. Source: Sreeja Kodali. But global health research in practice is more than the internal logistics that comprise it or the external circumstances that shape it; the core of practicing global health research lies in the people who move it forward and their collaboration. Executing global health research involves many different roles on a single team: investigators, coordinators, field workers, and assistants like me. It also involves cross-cultural and language differences that come from transcending international borders. Cultivating trusting relationships was the most important part of bringing the project to life. Not only were we building relationships, but we were also creating an equal partnership based on mutual respect. BCH brought research experience and funding while NINS brought cases, local infrastructure, and deep clinical experience in spina bifida. At first, I was surprised at how much of our trip included of meeting people, eating together, and conversing, as opposed to squeezing in extra training sessions or laboratory visits. How could chatting over fresh fruits be more productive than extra office time? How could home-cooked dinners be more than an indulgence? They were, however, all indispensable to our research. Prior to the trip, we were strangers embarking on an international, expensive commitment for the next several years. Like any serious relationship, we needed to build trust and understanding, if this was going to work out. We needed to pave avenues for open communication and to discuss both our common and personal goals, doubts and concerns, and vision for the next several years. Part of creating this relationship was opening ourselves to and honoring cultural practices, such as accepting hospitality. Altogether, global health research in practice can look quite different from its research proposal counterpart. Global health research in practice is broken down into protocols, standardized procedures, and meticulous organization. It is molded to accommodate national holidays and unrest equally. And global health research in practice is enabled by the sharing of ripe mangoes, sweets, and tea, which is far more than a social exercise and rather a necessity for scientific cooperation. Sreeja Kodali is a junior in Saybrook College majoring in Molecular Biophysics & Biochemistry. Contact her at sreeja.kodali@yale.edu. Mazumdar, Maitreyi, Md Omar Sharif Ibne Hasan, Rezina Hamid, Linda Valeri, Ligi Paul, Jacob, Selhub, Ema G. Rodrigues, Fareesa Silva, Selim Mia, Md Golam Mostofa, Quazi Quamruzzaman, Mahmuder Rahman, and David C. Christiani (2015). Arsenic Is Associated with Reduced Effect of Folic Acid in Myelomeningocele Prevention: A Case Control Study in Bangladesh. Environmental Health, 14(1). Kumar, Nikhil, and Rishi Iyengar (2016). Bangladesh: What You Need to Know About Extremist Violence. Time. Retrieved from http://time.com/4312152/heres-what-you-need-to-know-about-growing-extremist-violence-in-bangladesh/. Bangladesh Travel Warning (2017). S. Department of State. U.S. Retrieved from https://travel.state.gov/content/passports/en/alertswarnings/bangladesh-travel-warning.html. Hammadi, Saad, Alan Yuhas, and Rosie Scammell (2016). Dhaka Cafe Attack Ends with 20 Hostages among Dead. The Guardian. Retrieved from https://www.theguardian.com/world/2016/jul/01/dhaka-bangladesh-restaurant-attack-hostages. Yang, Nancy (2015). What Is Ramadan — and Why Do Muslims Fast? Minnesota Public Radio News. Retrieved from https://www.mprnews.org/story/2015/06/18/ramadan-begins.